“I see a bright future ahead for women and men who have the courage to believe in themselves and who invest in the development of their leadership skills.” These words from Eileen Anne Mullen demonstrate a philosophy that has made her the perfect person for the training and testing field. She has never wavered in her belief in her students or employees, and has worked hard to help them grow and reach their full potential. Ms. Mullen was inspired to enter her profession by the wonderful nuns who taught her during her journey through the Catholic school system, as well as by her parents, who were strong professionals. After completing high school, she jumped into the workforce with both feet, landing a position as a teacher at St. Anastasia School in 1960. Ms. Mullen stayed there until 1967, which was also the year she graduated from St. Joseph’s University with a Bachelor of Science in English. 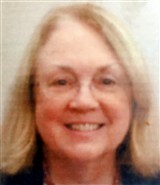 The degree propelled her to join West Catholic Girls High School as a teacher from 1967 until 1974, when she began her long tenure with the American Society for Testing and Materials International (ATSM). The nonprofit company develops and publishes technical standards for materials, products, systems, and services, as well as technical documents that are the basis for manufacturing, management, procurement codes, and regulations. In her 43 years with the company, she has served in a variety of roles, including manager of staff training and development, director of human resources, and personnel director, which she holds to this day. Ms. Mullen’s responsibilities have included overseeing compensation benefits, employee relations, workforce planning, diversity and inclusion, training, and managing performance. During her time with the organization, she decided to further her own education and obtained a Master of Arts in English from Villanova University. When Ms. Mullen wasn’t in the office, she enjoyed finding opportunities to share her knowledge and network with her community. She has maintained affiliation with the American Society for Training and Development and was an instructor of speech and communications at Widener University. She has also contributed articles on communications training programs to professional journals. In recognition of her success, Ms. Mullen was honored to receive the Outstanding Leadership as President Award from the American Society for Training and Development. Further, she was proud to be featured in numerous editions of Who’s Who in America, Who’s Who in the East, Who’s Who in the World, Who’s Who of American Woman, and Who’s Who of Emerging Leaders.